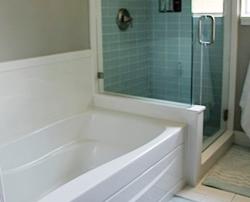 We specialize in cultured marble tub and shower surrounds. We can remove your old surround and install a beautiful new surround. Cultured marble is the best product you can choose to install in your bathroom shower and tub surround. With no tile grout lines it is easy to clean and is mildew resistant. Many people who have had tile surrounds in the past wonder why they didn't have a cultured marble surround sooner. They look beautiful and they are easy to clean. We have many colors to choose from. 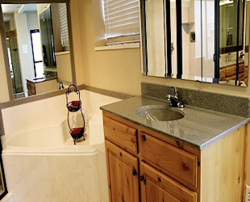 We can make matching cultured marble vanity tops that look great with your new surrounds. 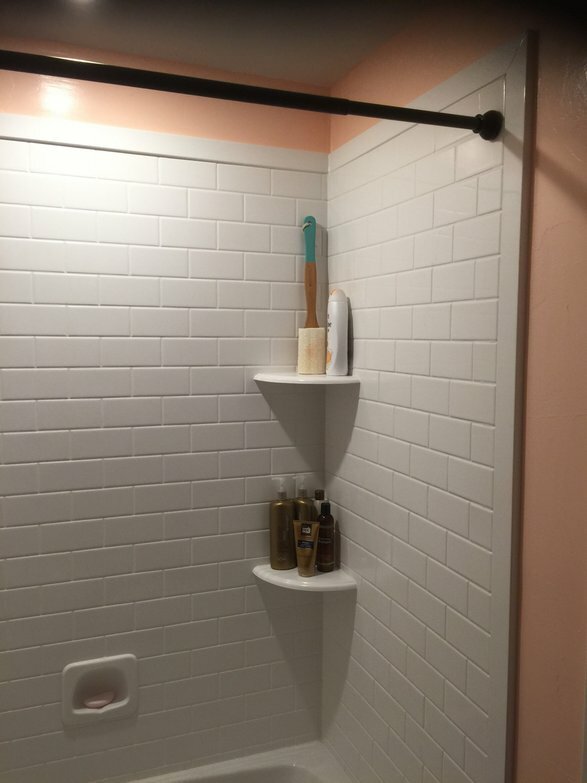 If you need mirrors and shower doors, we do that too. 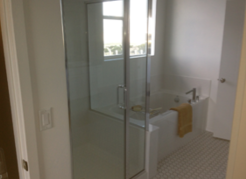 We offer regular shower doors, semi-euro doors, and full euro(frameless) doors.